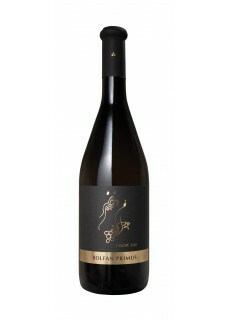 In ancient Latin the meaning Primus is - first among the equal and so this Pinot Gris from the line of Primus is a stronger and more corpulent wine with a straw yellow colour packed with fruit flavours which is finely complemented with a slight hint of vanilla. It is aged on fine sediments in large wooden barrels. A tiny touch of (3,8g/l) residual sugar gives it extra charm and highlights the voluminous body. Food pairing: Veal, baked or cooked. Vines have grown at the site of Bolfan Vinski Vrh, Croatia for thousands of years. Dating as far back as the Roman Empire this estate has been the site where many wines have been produced and tasted. With thousands of years to practise their craft, it’s no wonder this charming winery is home to award-winning wines. Tomislav Bolfan is commited to reach the peak in wine production - completely natural wine - as he says: is the goal we wish to achieve by implementing a 100 % natural method of vine growing followed by processing must into wine. Fresh wine, different mineral and fruity natural aromas, flowery varietal fragrances, for people who look for more, people who can recognise the difference. Bolfan Vinski Vrh’s philosophy is that wine is made for personal pleasure, relaxation, dancing, socialising and special moments. Join them on their journey to realise these beliefs by experiencing the very best that Croatia has to offer. Tomislav Bolfan, you could say, is the most important winemaker from Zagorje area who has a few wines awarded at the Decanter World Cup held every year.